E.L.I. CHILDREN’S PRAYERS FROM THE HEART book is definitely an excellent tool for children ages 4-8. There are 16 power packed prayers with bright colorful illustrations that your children are sure to love. Category: Books. Tags: Children, E.L.I., Prayers. E.L.I. 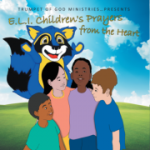 CHILDREN’S PRAYERS FROM THE HEART book is definitely an excellent tool for children ages 4-8. There are 16 power packed prayers with bright colorful illustrations that your children are sure to love. E.L.I.’s prayer book teaches children why they should pray and how to pray over every area of their lives. Some of the prayer topics are: – A prayer for Salvation – A prayer about the struggles of Peer Pressure – A prayer for Dad – A prayer for Mom – A prayer about the struggles of Divorce – A prayer about having a good Attitude & Much More! E.L.I. ‘s prayer book also comes with a companion prayer CD. E.L.I. stands for “Everyday Living in Christ”. He is a “catoon” (a combination of a cat and a raccoon). This exciting character creatively promotes Christ-like living by helping children to learn early that prayer about everyday concerns makes a difference. E.L.I is an “evangelistic tool” created to reach Christian and non-Christian children alike. 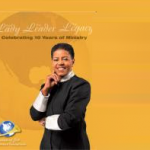 He counsels, teaches, and mentors children using a variety of multi-media approaches; all based on the Word of God. E.L.I. is a vital part of Trumpet of God Ministries & Training Center’s Children & Youth Ministry in Albany, GA. where prayer and Biblical teachings are foundational. E.L.I. has impacted, motivated, and provoked children of all ages to be Christ-like in their thinking, behavior and decision-making since 2002.